Alma Alexander is the pen name of Alma A. Hromic-Deckert. She first wrote and was published under her own name of Alma Hromic, but changed to Alma Alexander in the early years of the 21st century. THIS WORKSHOP HAS BEEN CANCELED DUE TO LOW ENROLLMENT. Join local author Alma Alexander as she leads a writing workshop in the conference room of the Fairhaven Village Inn. Just like a piece of jewelry has a shiny stone that is the focus of attention and a setting which keeps it safe and shows it off, so a story (a plot) is your jewel which requires a solid support in order to show its full potential. We'll talk about building up a credible world, both in contemporary realistic and more fantastical settings in this workshop. Registration is $15 per person. Register at the main counter of Village Books or by calling 360-671-2626. This workshop is limited to 20 people. Registration closes Wed., March 19th. Alma Alexander's life so far has prepared her very well for her chosen career. She was born in a country which no longer exists on the maps, has lived and worked in seven countries on four continents (and in cyberspace! ), has climbed mountains, dived in coral reefs, flown small planes, swum with dolphins, touched two-thousand-year-old tiles in a gate out of Babylon. She is a novelist, anthologist and short story writer who currently shares her life between the Pacific Northwest of the USA (where she lives with her husband and two cats) and the wonderful fantasy worlds of her own imagination. You can find out more about Alma on her Website, her Facebook page or her blog. In 2012: Midnight at Spanish Gardens by Alma Alexander, five friends are given an extraordinary choice - to live a totally different life or continue in their own. The story opens on the eve of the end of the world, Dec. 20, 2012, when the friends meet in Spanish Gardens, the restaurant where they had celebrated their college graduation 20 years before. They reminisce and reveal long-held and disturbing secrets about their dysfunctional lives. All of them pass through the portal and into drastically changed lives. They change occupations and families; one changes gender; a woman falls in love -- with another woman. In the end, four choose to return to their original lives. One doesn't. Sudden Valley author Alma Alexander was born in Yugoslavia, grew up in Africa, went to school in Wales, and lived in New Zealand before moving to the US. She has published a score of books, including the internationally acclaimed The secrets of Jin-shei, on sale in 14 languages, and the young adult series, Worldweavers, that VOYA suggested for readers suffering from Harry Potter withdrawal. Alma Alexander was born on the banks of an ancient river in Yugoslavia, a country which no longer exists. One of her novels, “The Secrets of Jin-shei,” has been published in more than 20 countries and 14 languages. The heroine of her popular Young Adult Worldweavers series is as American as Harry Potter is British. She is married to a man who wooed her over the Internet and lured her to America. She likes books, embroidery, music ranging from "The Rocky Horror Picture Show" to Dvorak's New World Symphony and "La Traviata", animals, coffee, chocolate, snow, velvet -- and, in people, loyalty, kindness and intelligence (and an off-the-wall sense of humor helps). She is a punaholic, a chronic worrier, sometimes honest to the point of being tactless. She is sentimental and has an incredible memory for detailed trivia like dates and old song lyric. She was born on the fifth day of July, six years before man walked on the moon, which makes her a cancer according to the Western horoscope and a water rabbit according to the Chinese one. wrote a 200,000 word novel in longhand, in pencil, three years after learning English. Alma is posting that early novel in a blog online, one chapter at a time, and it is being rewritten with the commentary and suggestions of a panel of teen advisers. "We will continue doing this, chapter by chapter, until the novel is done," she says. Alma Alexander is a LibraryThing Author, an author who lists their personal library on LibraryThing. Alma Alexander's book Wings of Fire was available from LibraryThing Early Reviewers. Alma Alexander's book Empress was available from LibraryThing Early Reviewers. Alma Alexander's book AbductiCon was available from LibraryThing Early Reviewers. Alma Alexander's book Dark Faith: Invocations was available from LibraryThing Early Reviewers. Alma Alexander's book Beyond Grimm: Tales Newly Twisted was available from LibraryThing Early Reviewers. Alma Alexander chatted with LibraryThing members from Nov 2, 2009 to Nov 13, 2009. Read the chat. 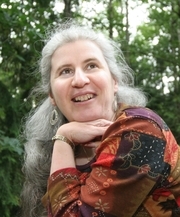 Alma Alexander is currently considered a "single author." If one or more works are by a distinct, homonymous authors, go ahead and split the author. Alma Alexander is composed of 6 names. You can examine and separate out names.